It's one of the most famous – and fearsome – pre-game rituals in the world. One that you can now learn for yourself in one of the world's most storied stadiums. Any global sports fan has heard of New Zealand's fabled All Blacks rugby team. The All Blacks are not just heroes of the country's national sport; in spite of New Zealand's tiny size, the All Blacks are considered the greatest team in global rugby history. They are consistently ranked at the top of the sport, and have won the Rugby World Cup more than any other team in the world. The All Blacks' distinctive black uniforms with only the national silver fern symbol are already intimidating: the team resembles an aggressive black swarm on the rugby field. Then imagine an entire team of robust, black-clad rugby players screaming and stomping wildly, working themselves into a fierce, unbeatable tour de force on the rugby field. For the sporting superstitious, part of the All Blacks' success comes from the spectacular haka that the team performs before every match. The ancient Maori dance serves the same purpose for the All Blacks as it did for the New Zealand indigenous warriors on the battlefield. The ferocious postures and vocalizations that challenge opponents prepare the players physically and mentally, and unite them in a focused team frenzy. The All Blacks' pre-game Haka tradition is as anticipated every game as their winning rugby form. It's ancient Maori for: Bring. It. On. 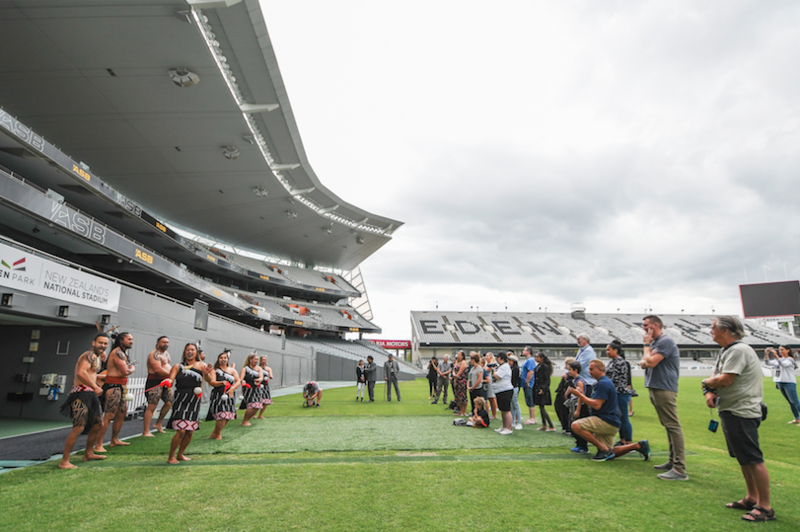 Now when you visit Auckland you can step on the hallowed grounds of the All Blacks' home stadium, get a behind the scenes tour of Eden Park, and learn to tap into your inner Maori warrior with a haka group – right on the green where the All Blacks play. 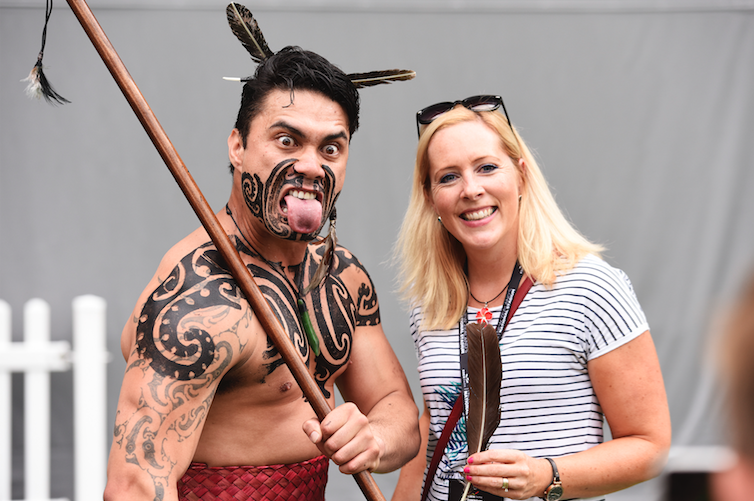 A Maori warrior in traditional garb is your guide of the home team's changing rooms and other off-camera spaces, your tour of great sporting moments for the All Blacks and Eden Park over the last century and more, and finally, onto the actual playing turf itself. You'll join an authentic haka group and experience the power of the haka up close as it's performed on an All Blacks' game day. 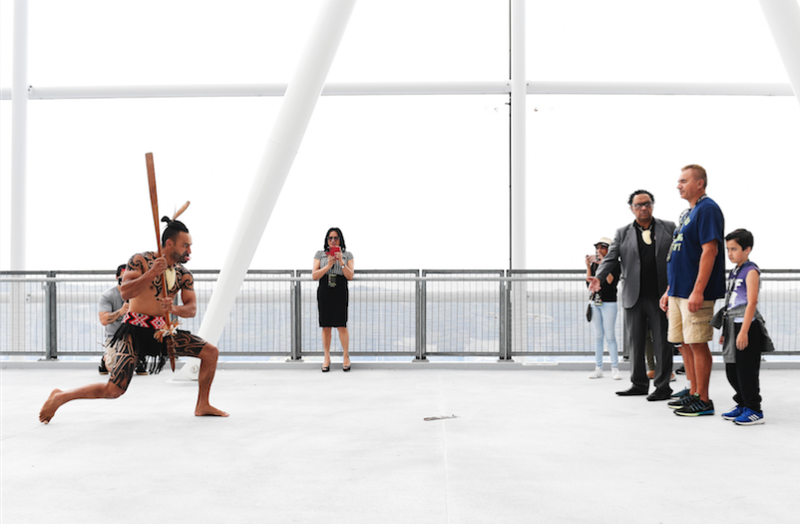 And you'll even have the opportunity to channel your inner Maori warrior during an interactive haka-learning workshop, and have your photo taken with traditional Maori warriors. 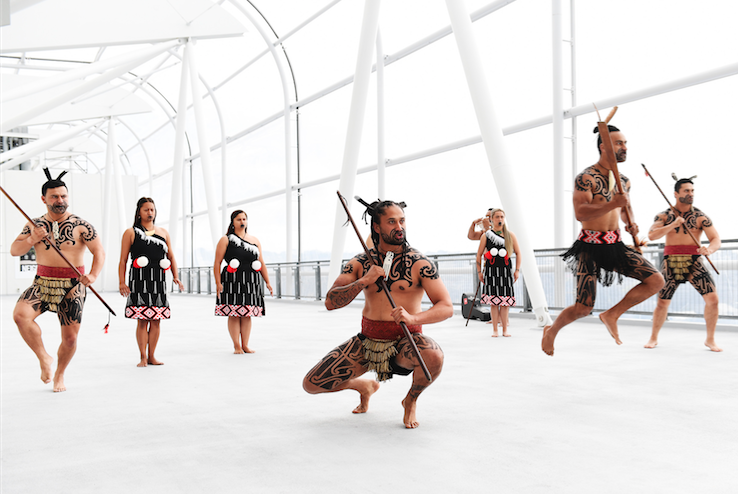 Whether or not you – or anyone in your group - are sports or rugby fans, the Haka in the Park program at the All Blacks' Eden Park in Auckland is a one-of-a-kind way to get up close and even participate yourself in the drama and history of authentic New Zealand Maori culture.